The Islanders, back from a mid-season trip to St Kitts and back to full strength, had a tough test against a confident VG United and, whilst Rohan Lennon settled any nerves with the opening goal in the 38th minute, it wasn’t until the second half that the Islanders were finally able to dominate proceedings. Joshua Lynch made it 2-0 in the 51st minute, an unfortunate Joshua Ramprashad own goal put the game to bed in the 60th and although Clint Thomas pulled one back for VG United moments later in the 61st minute, it proved merely a consolation as the Islanders ran out 3-1 victors. The drama continued to unfold over in Virgin Gorda, football’s second home, as first the Sugar Boys made it three wins from three with a 3-0 win over a tenacious Old Madrid, courtesy of a Derol Redhead brace. The final game of the day saw F.C. Sea Argo shock the Rebels, whose season continues to spiral downhill, with a 3-1 victory. Trevor Peters opened the scoring for the Rebels in the 20th minute after a goalkeeper blunder and it wasn’t until deep in the second half that the signs of an “upset” materialised. Omar Elliston equalized in the 71st to sound the Rebels alarm bells, just two minutes later Gavin J. Foster put his team ahead, 2-1 and Janel Ferdinand put the game beyond doubt, scoring in the 86th minute from the penalty spot to grab F.C. 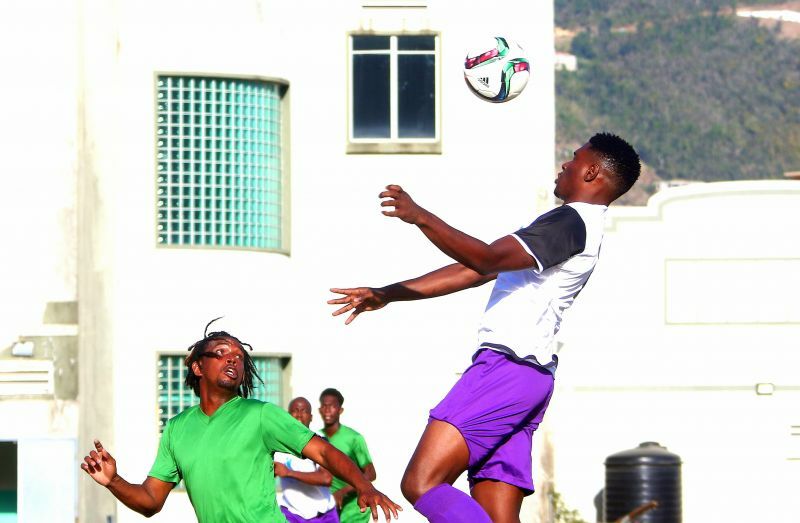 Sea Argo’s first victory, not only in the National League but in all competition’s since they joined the BVIFA in early 2017. This weekend’s fixtures have been postponed by the Competition Committee to facilitate the Masters (over 40’s) hosting a team from St Kitts. F.C. Sea Argo v VG Utd. A.O.Shirley 5.00 P.M.